This standard sized blank raw aluminum plate is often used as a cover plate for cells with a 6X10 openings to keep dust and debris out- standard fuel cells with a capacity greater than 5 gallons are fitted with this sized plate. The blank plate can easily be customized for any purpose and features a 24 oval bolt pattern with a .188" thickness. 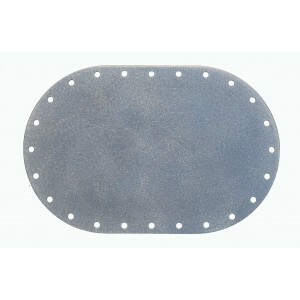 Blank Aluminum Plate - Oval -24 Bolt (6" x 10"). Product ships same day when in stock.